The Gladiator Gold Deposit near Val d’Or in Québec occurs a few meters below surface and has been outlined to extend to depths exceeding 650 m with a total length of at least 1.2 km. 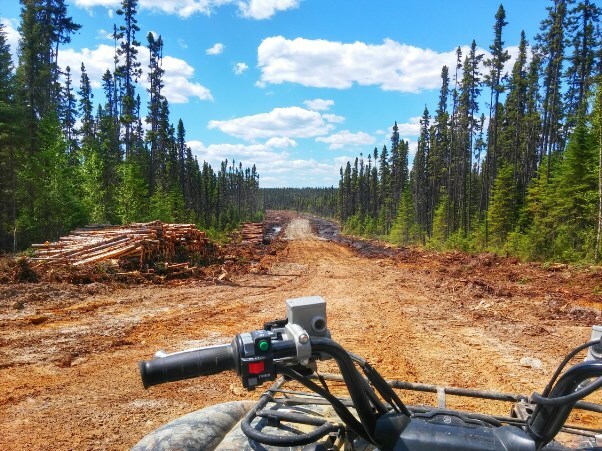 Today, BonTerra Resources Inc. reported highly significant drill results from the western part of its 100% controlled Gladiator Gold Deposit in the north of the prolific Val d’Or Mining District in Québec, Canada. One of the 2 holes disclosed today returned 64.3 g/t gold over 2 m at 130 m below surface. The other hole intersected 8.7 g/t gold over 3 m at over 300 m below surface. Both holes were drilled in the “Rivage Gap”, a previously untested section beyond the western extension of the Gladiator Gold Zone. Of significance, both holes provide confirmation that the strike length of the Gladiator Deposit has now been increased by 500 m to over 1.2 km from its previously drilled length of 700 m (November 16, 2016) and outlined from surface to a depth of 650 m. This is turning out to be a very large gold system. As a result, the Rivage Zone now joins with the main Gladiator Zone. The Rivage Zone was previously interpreted to be an isolated parallel zone with very limited information consisting of surface sampling and 4 drill holes. At a 4 g/t cold cutoff, the Gladiator Deposit currently hosts a NI43-101-compliant resource estimate of 905,000 tonnes averaging 9.37 g/t gold (total of 273,000 ounces of contained gold). This resource estimate was calculated in 2012 and as such does not include the many holes drilled in late 2015 and all of 2016. An updated resource estimate is targeted for early 2017 after more drilling to expand further as it remains open in all directions (currently 2 drill rigs in action on the property). BonTerra also owns the Larder Lake Gold Deposit with an historic inferred resource of 917,000 ounces of gold at an average grad of 5.55 g/t gold. This highly prospective gold project may soon be explored with an extensive drill program in order to further increase the enterprise value. Note: Approximately 90% of the world’s operating mines have an average gold grade less than 8 g/t. For smartphones and tablets, an APP from Rockstone Research is available in the AppStore and in the GooglePlayStore. Disclaimer: Please read the full disclaimer within the full research report as a PDF (here) as fundamental risks and conflicts of interest exist. NCFM academy hyderabad reviews which I found with google search are so much positive that I could not resist myself to join the course. Later I followed websites like these to know more trading related information for mastering the subject.